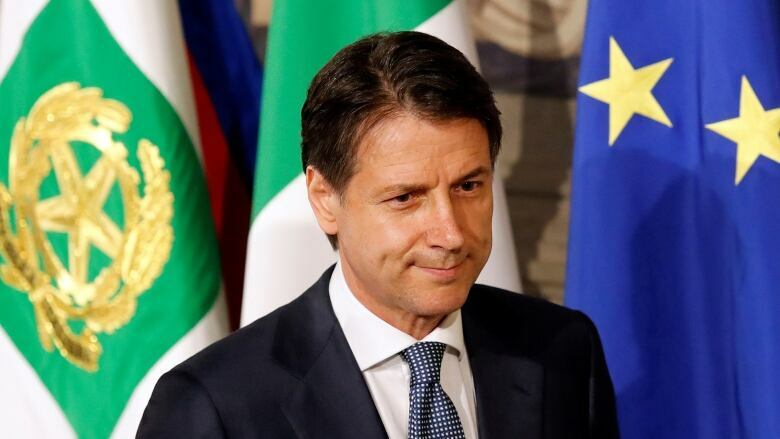 Giuseppe Conte, the law professor named as Italian prime minister on Wednesday after surviving accusations he inflated his academic credentials, must now prove he can lead the euro zone's third largest economy with no political experience. Conte, who is unaffiliated to any party, emerged from obscurity on Monday when the anti-establishment Five Star Movement and the far-right League announced he was the compromise choice to lead their coalition government. "Outside here there is a country that needs answers," Conte said after receiving the mandate to form a government from President Sergio Mattarella. "I will be the defence lawyer of the Italian people." He has a daunting task. Financial markets have heavily sold-off Italian stocks and government bonds at the prospect of an inexperienced, Euroskeptic government. Financial markets have reacted nervously to the Five Star-League program, which includes a basic income for needy Italians and a two-tier flat tax that is expected to add to Italy's debt load, already Europe's heaviest after Greece. European Commission Vice President Valdis Dombrovskis warned Italy on Wednesday to rein its government debt, which is currently over 130 per cent of gross domestic product. The 19 members of the euro currency should keep public debt under 60 per cent of GDP and their budget deficits below 3 per cent of GDP. League chief Matteo Salvini had to address widespread criticism that Conte will be a puppet of the two parties' leaders. "He won't merely carry out our orders, he will have to be independent," Salvini told reporters as Conte met Mattarella. The president, who formally appoints the prime minister, took his time before endorsing Conte, whose curriculum vitae has come under scrutiny this week by the world's media. Conte, 53, said he had "perfected his judicial studies" at numerous foreign institutions, including Cambridge University, New York University and the Sorbonne in Paris. Most of the universities said they could find no trace of him on their databases, but Conte said he had attended in an informal capacity to use their facilities and meet colleagues, and had made no false claims. Crucially, both Five Star and the League, which had spent weeks trying to find a mutually acceptable candidate, stuck by him and piled pressure on Mattarella to accept their recommendation. "He is an Italian with no powerful sponsors ... who has decided to put himself on the line to change this country," Five Star wrote on its website. Despite his lack of party ties, Five Star proposed Conte among others as possible ministers before inconclusive elections on March 4 when he promised to simplify Italy's labyrinthine bureaucracy. "First we have to drastically abolish useless laws," Conte said, adding that there were "many more" than the 400 pieces of superfluous legislation previously cited by Five Star leader Luigi Di Maio. That was the first time Conte had appeared in the public spotlight, though he is on the board of numerous academic and judicial bodies and had participated in conferences on justice matters organised by 5-Star. It was in Florence that he established relations with 5-Star through Alfonso Bonafede, a local lawyer and senior lawmaker who is the party's preferred choice as justice minister. Among the many colleges where Conte has taught is the Roman Catholic San Pio V institute, and Italian media reported that he had close ties with the Vatican. 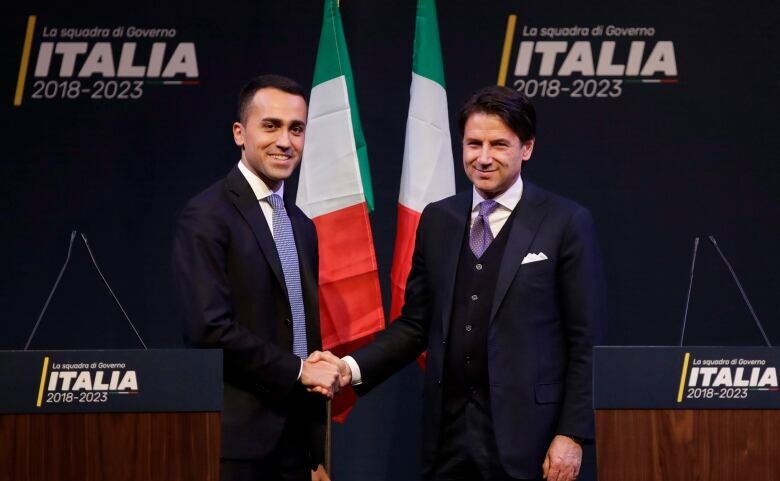 Conte must now return to Mattarella with his cabinet team, which many observers say has already been largely decided by Di Maio and Salvini. The powerful job of economy minister will be the trickiest appointment. The League is pushing for the Euroskeptic economist Paolo Savona but Mattarella, who has the final say, has already let it be known he is not happy with the choice. If all goes smoothly, Conte could have his government sworn in early next week, ready to face the necessary confidence votes in both houses of parliament.